The event display features a kidney-bean shape to accommodate a person behind it,Perfect as interactive workstation, for offering samples, trade shows, on-site appearances, conventions or large business meeting. The black Velcro-receptive fabric easily attaches to the framework using the provided magnets. 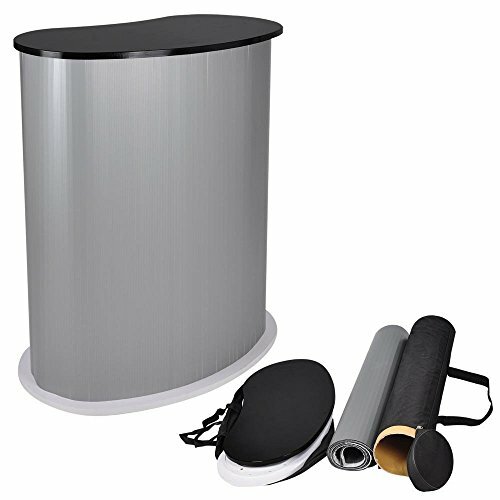 This portable trade show counter is perfect for use during a presentation, an in-store display or even during a promotional event! (SU-MZ5015-5) Pentagon laminate Wooden Look Sunglasses Display Stand Rack, Display up to 100 glasses.